Eleanor Roosevelt, was often called “the world’s most admired woman.” This sentiment comes from her book, You Learn by Living: Eleven Keys for a More Fulfilling Life. 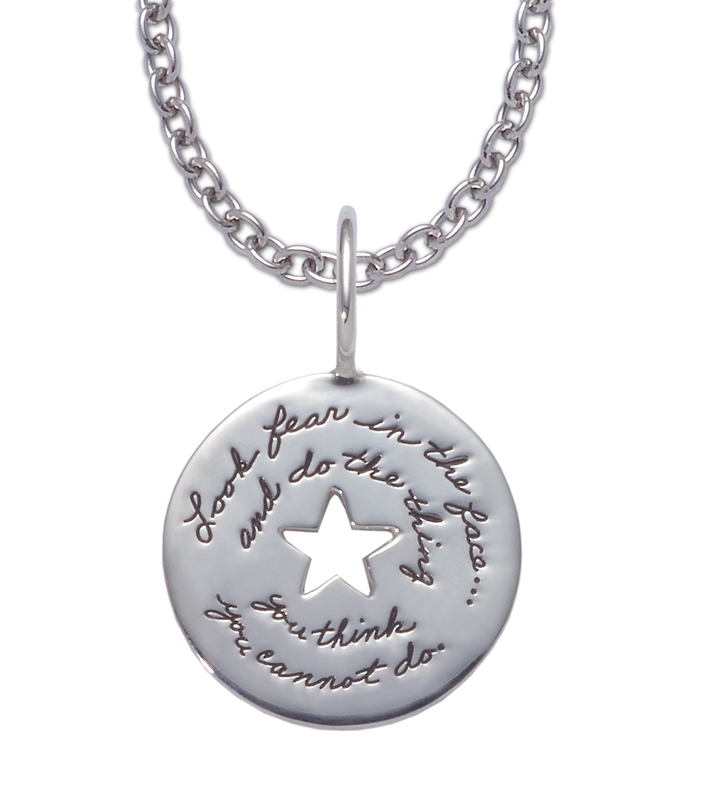 This inspirational sterling silver necklace featuring Roosevelt’s sentiments will infuse the wearer with a jolt of courage. The sterling silver circle features a cut out star that demonstrates you leaving your comfort zone to claim your destiny.